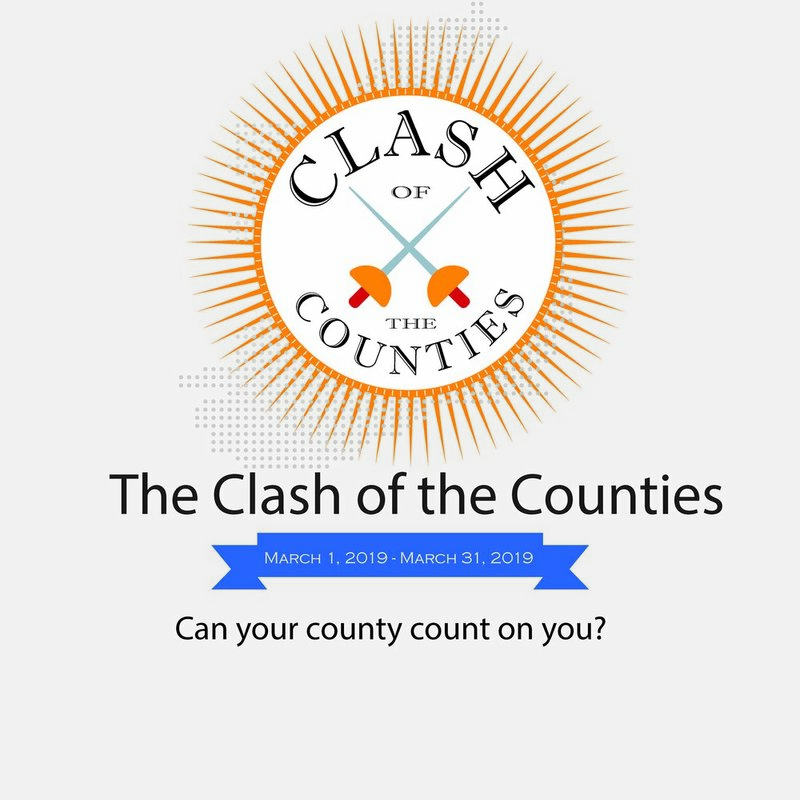 We are very excited to announce our inaugural County Challenge.Show your county pride while supporting the Irish Immigration Center by clicking here. The winning county receives a live social media broadcast by our Foróige Philadelphia youth club as they make their first visit to Ireland in July. And, of course, bragging rights as this year's winner. Let the game begin! March with us this St. Patrick's Day! Join the Irish Immigration and friends and march in St. Patrick's Day parade on Sunday, March 10 for fun and frolics.There will also be a guest appearance from our wonderful former Executive Director, Leslie Alcock. All are welcome to join. Contact Nicola at nicola@icphila.org to put your name on the list. The wonderful Fall season has arrived and we have started to ramp up our programs for the cooler temperatures.We are delighted to announce our first Children's Story Hour on Sunday, October 14 with a "Spooky Halloween Special" at the Irish Immigration Center. Foroige youth group has started back up every Tuesday evening and newcomers are always welcome.Our group is currently training hard for the upcoming Dragon Boat Festival on October 6, so wish them luck! We have just completed a very successful trip to Gettysburg with our senior group. Our senior program runs every Wednesday at the Irish Immigration Center from 12 p.m. where people get together to share lunch, see old friends and make new ones. We always include fun, cultural and informative activities throughout the year. In October we will have guests speakers including Medicare advisers and music from the wonderful Terry Kane. Everyone is welcome to join! Did you know that the custom of making jack-o'-lanterns at Halloween began in Ireland? Hear the tale of 'Stingy Jack', through traditional Irish Storytelling with craft session for boys and girls aged 3-8 years.This is a free event but please sign up using the link below. All are welcome. Questions about U.S. immigration? Interested in U.S. citizenship? We provide free legal consultations in partnership with the Brehon Law Society. Appointments are required. Please call 610-789-6355 ext.3200. or use our online booking tool below. ﻿Join friends and families from the Irish Immigration Center at Talen Energy Stadium as Philadelphia Union host the NY Red Bulls in the final regular season home match of 2018. A portion of proceeds from each ticket will support the Irish Immigration Center of Philadelphia. Have a Group of 10 or more? Contact Groups@philadelphiaunion.com to have per ticket fees waived. Bill has been in the human resources industry for over 30 years. He has gained a wealth of knowledge working for corporations such as British Petroleum, E.D.S.I. and Air Products. He is here every Tuesday morning from 10 a.m. - 1 p.m. for job interview preparation and advice on writing resumes, LinkedIn profiles, and cover letters. He can also coach you if you are stuck in a career rut and are looking to change direction. All are welcome. Contact the center on 610-789-6355 ext.3200 to book your appointment. Foróige youth club is for young people age 12-18 and meets every week at the Irish Immigration Center. We are returning to Cobbs Creek Golf Club this Saturday, August 18 at 8 a.m for our Third Annual Golf Fundraiser. The past two Golf Outings have been a massive success and a great days out. You can be part of this year's outing by signing up or helping out by sponsoring the event. All donations are welcome. We hope to see you there. We have a number of exciting sponsorship opportunities available at different levels ranging from Event Sponsor to Patron. Every sponsorship helps us to continue providing the vital services that we give to our community so please consider donating. EVENT SPONSOR $1,000 - Individual banner at the event, sponsor signs on all prize holes, recognition on Facebook, and acknowledgement on the Irish Immigration Center’s website for a year. CORPORATE $500 - Individual banner at the event, sponsor signs on all prize holes, recognition on Facebook and the Irish Immigration Center’s website. GOLD $250 - Name on banner, sponsor signs on all prize holes, and recognition on Facebook. SILVER $100 - Name on individual hole sponsor sign and recognition on Facebook. PATRON $25 - Name on shared hole sponsor sign and recognition on Facebook. We are a 501(c)(3) non-profit organization so all contributions are tax deductible. Deadlines for Event, Gold or Corporate levels are August 13th, Silver is August 15. Please contact Emily or Nicola on 610-789-6355 or email nicola@icphila.org to learn more. You can also sponsor via our Facebook page using the donate button or via the button above. Date: Saturday, August 18, 2018, at 8.a.m. Cost: $100 per golfer includes light breakfast, dinner and prizes. You can sign up by calling the Irish Immigration Center on 610-789-6355 or above. Golf information: 8 a.m. shotgun, format- 4 person better ball, closest to the pins on all par 3’s, 2 longest drives. $100 per golfer includes light breakfast, dinner and prizes. 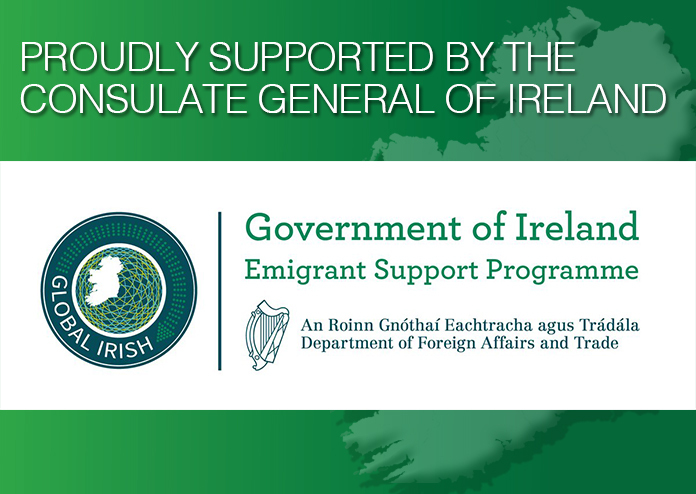 As summer winds to an all-too-soon close and we look to the changing seasons, our team at the Irish Immigration Center is looking forward to some changes in our programming. The Center is used by many as a community resource and we're excited to increase that over the coming months. We welcome your feedback and suggestions as we look to fill the Irish Immigration Center with learning and laughter as often as we can. Wishing you a relaxing end to the summer! Saturday, August 18 at Cobbs Creek Golf Club, 7200 Lansdowne Ave at 8 a.m. Following on from the massive success of last year's Annual Golf Outing fundraiser, we are returning to Cobbs Creek Golf Club on Saturday, August 18 for our third Annual Golf Fundraiser. Golf information; 8 a.m. shotgun, format- 4 person better ball, closest to the pins on all par 3’s, 2 longest drives. Tickets cost $100 and include breakfast, dinner and prizes. Tickets can be purchased here. Foróige Philadelphia is starting back up! Wednesday, August 8th 7- 8.30 p.m.
After a couple of months off for the summer, we are ready to get the club back up and running again - Foróige youth club is for young people age 12-18 and meets every week at the Irish Immigration Center. We will be kicking off this session with a Foróige Philadelphia Dragon Boat team in the International Festival which takes place October 6th. We will see the team work hard in the planning of the event and this will inspire great teamwork throughout the group. 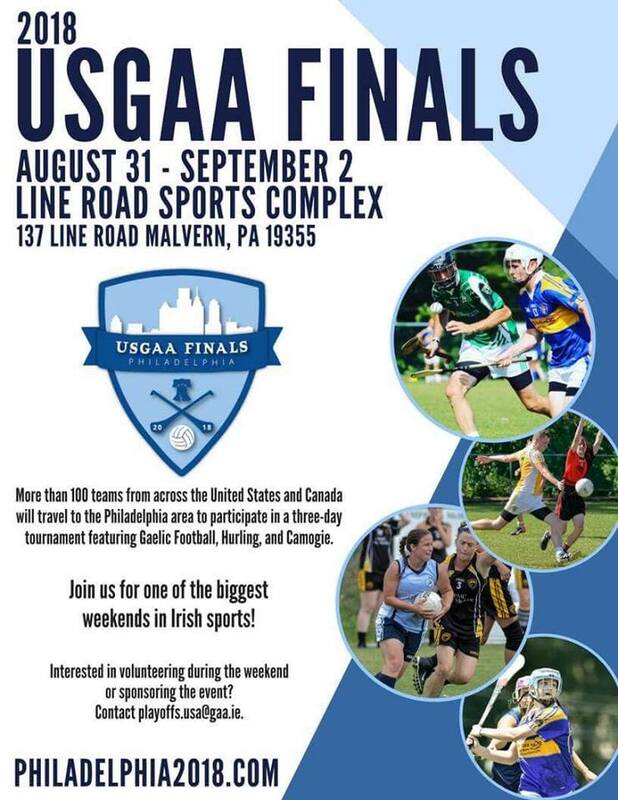 Team Ireland got off to a flying start in this year's Philadelphia Unity Cup where they beat Alegria 8-0 last Saturday morning. Come and support our boys in green this Friday evening as they take on Bosnia at Ramp playground. The post-game gathering is at Ashburner Inn, 8400 Torresdale Avenue, Philadelphia. Bill has been in the human resources industry for over 30 years. He has gained a wealth of knowledge working for the likes of British Petroleum, E.D.S.I. and Air Products. He is here every Tuesday morning from 10 a.m. - 1 p.m. for job interview preparation and advice on writing resumes, LinkedIn profiles and cover letters. He can also coach you if you are stuck in a career rut and are looking to change direction. All are welcome. Contact the center on 610-789-6355 to book your appointment. Since May 5, 2014, all diversity visa lottery applicants are required to verify the results of their entry online at www.dvlottery.state.gov. They must enter their application Confirmation Number from the online application receipt, their Last Name/Family Name, and Year of Birth in order to check the status online. Results will be posted online until September 30, 2019. Applicants should keep their confirmation numbers until September 2019 as more winners may be selected later. All “winners” of the DV-2019 lottery must be processed for green card before September 30, 2019. We are returning to Cobbs Creek Golf Club on Saturday, August 18 at 8 a.m for our Third Annual Golf Fundraiser. The past two years have seen glorious weather and plenty of action on the course. The event will start with a light breakfast, followed by an 8 a.m. shotgun start. After the game, a meal will be provided along with the prizes. We also have some exciting sponsorship opportunities, so, please come and join in the fun! It’s been a busy introduction to life at the Irish Immigration Center – one full of smiles and laughter. I feel so fortunate to have met the crowds of people who make this Center truly incredible. Leslie has been a godsend in this transition and everyone has welcomed me with the famous Irish hospitality (and 100,000 cups of tea!). I feel as though I’ve belonged all my life and am thrilled to be a part of this great team! I, along with Nicola and Ciaran, are excited to continue bringing the programs you know and love as well as some new offerings in the months ahead. Please keep a watch on your inboxes as we roll out a fall schedule with some new opportunities, trips, and events. If there are ever any questions you have or idea you would like to pose, please don’t hesitate to reach out to me or anyone on the team. Thank you all for the warm welcome! I hope to return the favor the next time you’re by - please stop in and see us in the Center. The kettle is on and the biscuit jar is full! Bill has been in the human resources industry for over 30 years. He has gained a wealth of knowledge working for the likes of British Petroleum, E.D.S.I. and Air Products. He is here every Tuesday morning from 10 a.m. - 1 p.m. for job interview preparation, and advice on writing resumes, Linkedin profiles and cover letters. He can also coach you if you are stuck in a career rut and are looking to change direction. All are welcome. Contact the center on 6t10-789-6355 to book your appointment. Every month we host two free legal clinics, offering access to the expertise of licensed immigration attorneys. These legal clinics provide professional, confidential consultations and services to all, regardless of their immigration status. Our attorneys give their services at our clinic pro-bono. Our clinics for July will run on July 9 and July 23. If you are interested in attending one of our clinics please call on 610-789 6355 to make an appointment. I'm delighted to introduce Emily Norton Ashinhurst, the Irish Immigration Center's new Executive Director. Emily is excited to join the team at the Irish Immigration Center. She has dedicated her career to the nonprofit world working for missions she treasures on a personal level. From helping children achieve their potential, to aiding women on the brink of homelessness, to consulting with nonprofits on strategies for organizational growth and success, Emily feels fortunate to have made a difference in profound ways. She has more than 20 years of nonprofit experience in operations, development, marketing, and programming and has managed budgets from small to large. Some of the organizations she has worked for include Girl Scouts of Eastern Pennsylvania, Home of the Sparrow, and Help Hope Live. Emily’s family spent summers in County Kildare and she is proud to be working with an organization that connects her Irish roots with her passion for helping our community. Emily lives in Havertown with her husband, Kyle, her daughter, Maggie, and their dog, Hermione. In her downtime, she loves photography, horses, and cooking for her family. I think Emily joining the team presents a very exciting opportunity for the center, the programs, and the community as a whole. The center is going from strength to strength and I believe Emily, the team, and all of you in the community will do great things together. Please note, the programs and services in the center will not be affected by this change in leadership. It is and will be business as usual. I know that the Irish Government remains firmly committed to supporting the Center and our community as a whole. I do have one request. I ask that you help Emily, like you helped, supported, and encouraged me. I also ask that you continue to support my colleagues, Nicola Bell and Ciaran Porter who work to provide our community programs and services here too. One final note, I will be forever grateful for the support that you gave me and the center. I moved here six years ago and I didn’t know one person and now I feel like I’m leaving family behind. I will forever cherish the memories we’ve made together, the good times we’ve had, and most of all I will always cherish your friendship and support. My life is forever changed for the better by having the opportunity and pleasure of getting to know you. Philadelphia will always have a place in my heart. I do hope we can keep in touch. My personal email is; leslie.alcock84@gmail.com. Please do stop by the center to get to know Emily over a cuppa. Need visa advice, a green card renewal or help with your U.S. citizenship paperwork? It’s never too late to start your financial planning.